Start each day focused and motivated. Mornings are cluttered with app checks and social media addictions. Cleu is the morning alarm clock that connects services and smart-devices to build healthier daily routines. 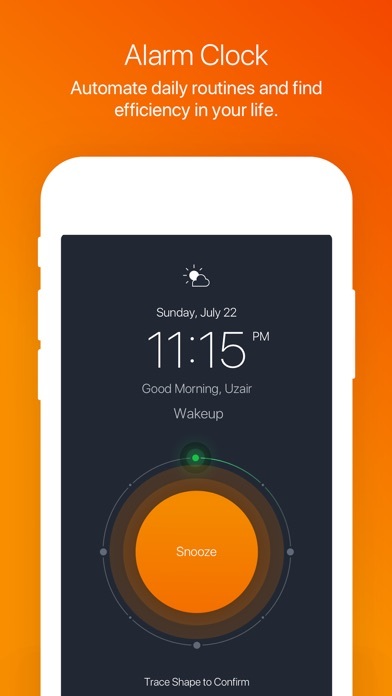 2 out of every 3 smartphone-owners, use their device as a daily alarm clock. The problem arises when we set up multiple alarms to help wake-up. Cleu solves this pain-point through an ambidextrous 'connect-the-dots' gesture to allow for a simple brain activity. 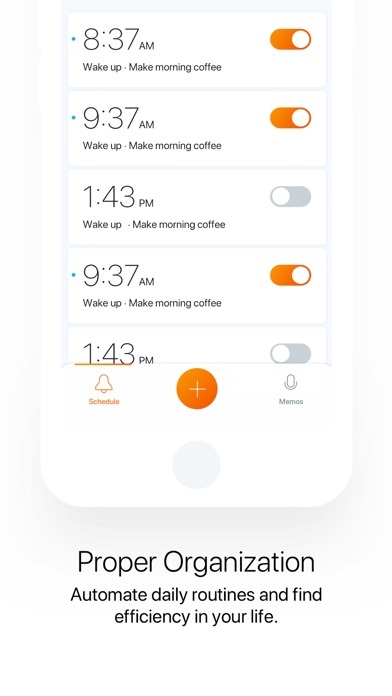 Cleu takes wake-up personalization a step further by allowing multiple snoozes. Community Content and Morning News are two of the top activities that help us wake-up and get going in the day. The problem arises when content is driven by unfair-bias or cluttered across social feeds. 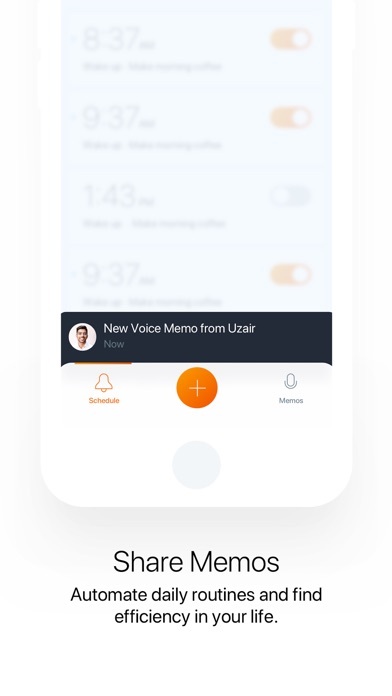 Cleu solves this pain-point by allowing us to stay updated with friends or family through voice morning memos. As new 'smart' devices and services are released in to the market, they also come with an app that adds to fragmented daily experiences. Rather than focusing on the control functions of an appliance or smart device, Cleu drives the experience through morning routines such as premium music at every snooze, or coffee prepared regardless of our time in bed. Cleu Connect Premium is a 30-Day FREE TRIAL to Connect third-party apps and services to Cleu. 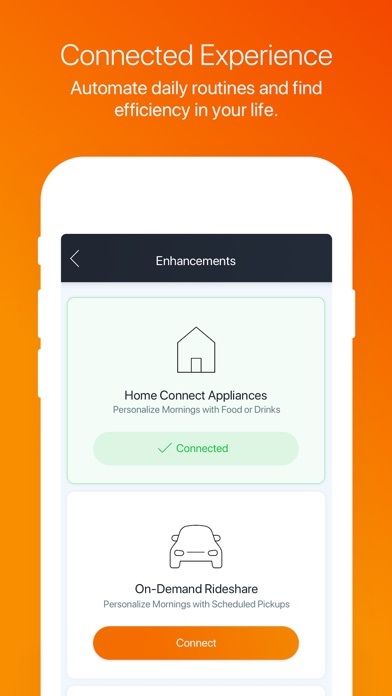 This allows you to customize experiences around smart devices like HOME CONNECT COFFEE MACHINES or Premium Services such as APPLE MUSIC.